5 Ways to Get Festive with the HP Sprocket Printer The HP Sprocket Printer is one of the season’s hottest gifts for teens. 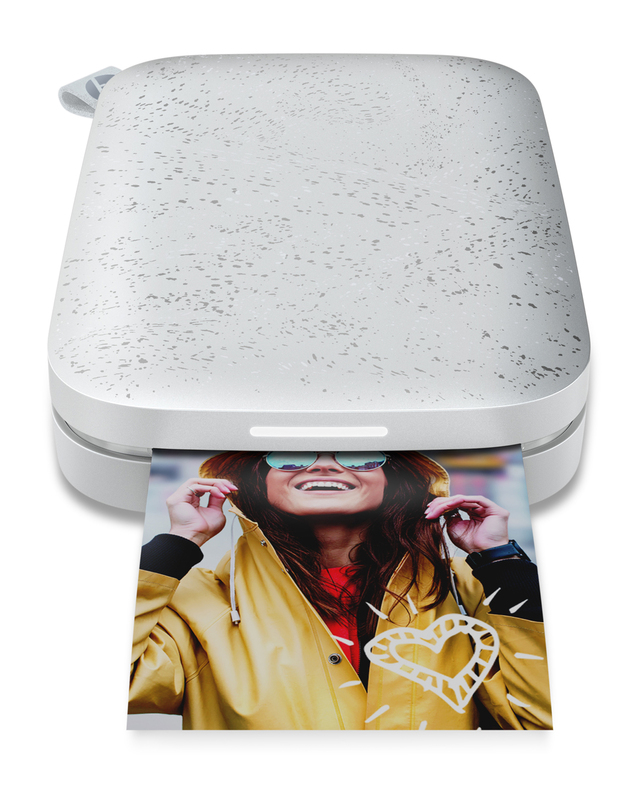 And, while it’s perfect for printing photos and sharing with friends, there is more you can do with the HP Sprocket Printer than just print and share photos. For the ultimate in festive fun, here is 5 ways you can spread the holiday cheer with your HP Sprocket Printer. Sweet Treats. If you’re gifting a jar of your famous shortbread or Christmas bark to friends and family, use your HP Printer Sprocket to make a very personal label! Maybe it’s a picture of your bestie enjoying your treats? Or perhaps it’s a snapshot of the two of you together? Either way, they’ll be sure to love the package as much as what is inside. String it up. Whether you’re decorating for a party or want to add some flair to your bedroom, the HP Sprocket LED String Light Clips lets you deck your halls with memories of friends and family throughout the holidays! Throughout the year, you can swap out the photos each season! Put together a holiday bullet journal. Bullet journals are the latest trend wherein practicality meets creativity. Part To-Do Lists, Part Planner and Part Diary, these all-in-one organizers are ideal for keeping your tasks on track while writing down your deepest thoughts or sharing life’s happy moments. A reminder of an upcoming New Year’s Eve party can be heightened with photos printed from your HP Sprocket Printer of all the fun you had at the party once you get home! Map it out. Are you travelling over the holidays? Tape a map to your wall and print out photos from your journeys. Dot the map with memories of skiing in the West Coast or sipping frosty mocktails poolside in Cancun. Better than any passport stamp, your HP Sprocket Printer photos will brighten your map while taking you down memory lane every time you look at it. Tag. You’re it. Need a creative tag to put on a hostess gift? Or meeting up to exchange gifts with friends on Boxing Day? 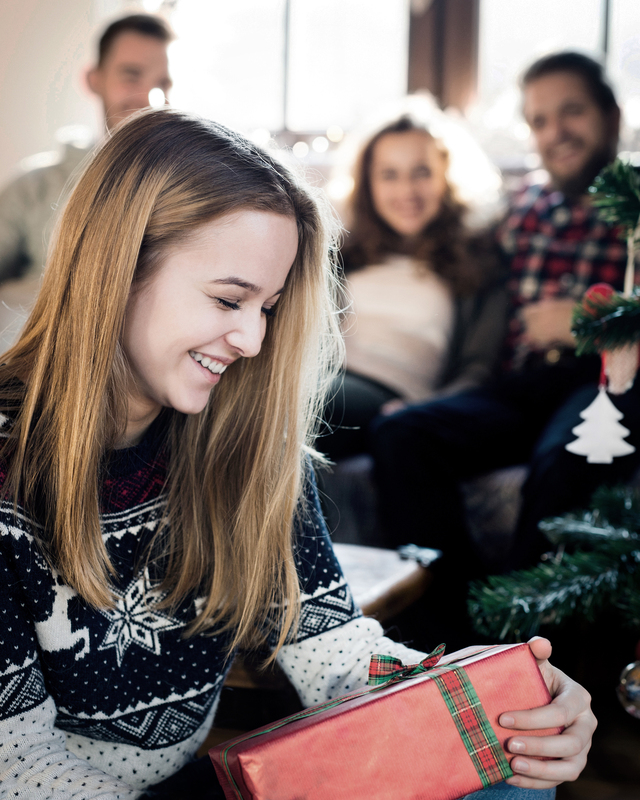 Instead of sticking a generic tag on a present, print out a photo of the two of you and attach it to the gift for a personalized festive touch. 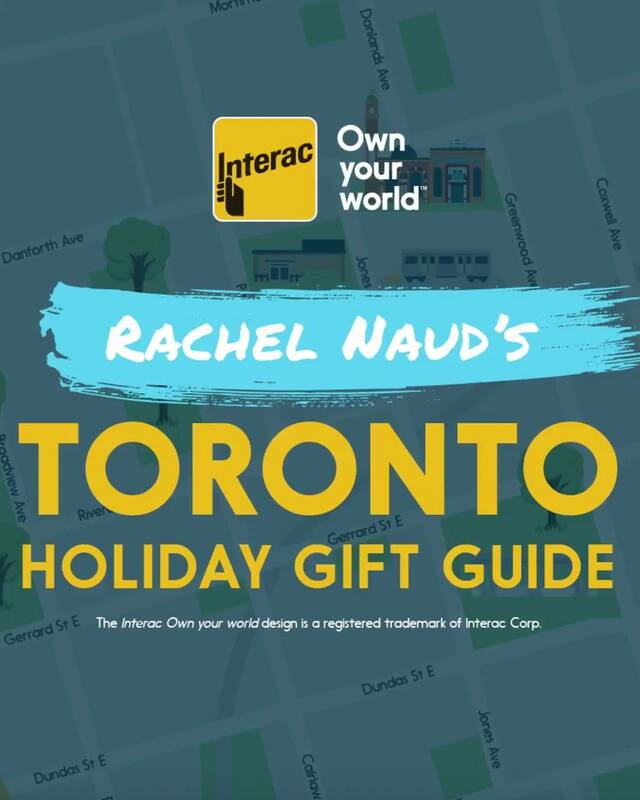 My Favourite Shops to Find Fun Gifts for Teens By Rachel Naud When Interac challenged me to shop local, it was a challenge I gladly accepted! Part of the reason I love living in Toronto is the array of independent shops and boutiques in every area. When searching for some fun gifts for teens, I certainly didn't have to travel far! Here are some of my favourite spots where I discovered fun finds and gift ideas. Yellow House Gallery & Framing This contemporary art gallery and custom framing shop in the Upper Beaches of Toronto showcases local, regional and international emerging artists and focuses on original works and limited edition prints. I picked up a super cool graffiti-inspired custom painting, perfect for any teen! (Or myself, really!) Tertulia This independent coffee shop is new to the Riverside area. Inside, the vibe is quaint and contemporary. I went for the gourmet chocolates and caramels but I stayed for the London Fog! Best in the city! The Nooks Located in Toronto’s East End on “The Danny,” The Nooks sells hand-crafted and curated gifts, made by local artisans. The perfect place to get that one-of-a-kind gift! I found some cool necklaces! Good Neighbour This funky find is a one-stop shop for everyone on your list. This little house turned gift emporium serves up everything from house & home and bath & body items to men’s and women’s clothing and winter accessories. iQLiving Located in the heart of Greektown, I adore the kitchen accessories and cookware in this shop, especially the Orla Kiely line. It’s got a retro vibe that I love!